Kawaii Strawberry champagne by LANCOME ×KuKuRuZa Popcorn [Only Japan] : Happy Aging & Beautiful Anti Aging loving. Japanese word the " Hanabie 花冷え " , that return cold by the time the cherry blossoms bloom. The cold. But , because the cherry blossoms us to long-lasting , It's happy. 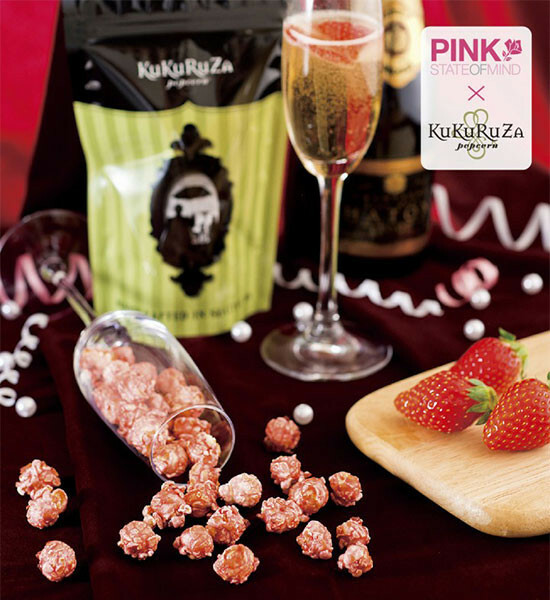 Seattle, USA -born gourmet popcorn shop " KuKuRuZa Popcorn " and cosmetics brands continue to attract the women of the world " LANCOME" collaboration. Only the original flavor of the popcorn in the spring , you could only be purchased at the Omotesando Hills , rare popcorn. Kawaii pink , perfect for cherry-blossom viewing.